We talked briefly. Not about race so much, but I asked him if the Democratic Party had benefited African-Americans over generations. Have welfare programs been good to his community? Have African-Americans prospered from government giveaways or have families been destroyed as young women are paid for raising additional kids in single parent homes – for one example? How has it worked for the kids? Are they more or less balanced personally and prepared for life’s challenges? Are they personally happy or embittered feeling entitled and angry? 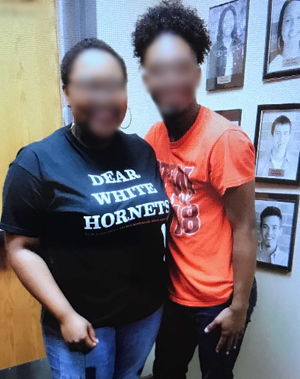 Tulsa Today has recently covered a story of racist t-shirts worn by a small group of black students at Booker T. Washington (BTW) High School in Tulsa (click here for that story). As a Republican, I want government out of my wallet, my bedroom and my house, off my street and, if possible, I would send it out of state. I want freedom not free stuff. Liberty for me thank you very much. I want people to be good to each other and I have never met any Republican activist in Oklahoma over the last fifty years that espoused raciest views – never at any meeting – never privately in any conversation – ever. Republicans are the party established by President Abraham Lincoln who had an active personal relationship with Frederick Douglass detailed in the book “Giants” by John Stauffer. But Democrats claim there was a “big switch” and somehow now all Republicans are racists. That is the Great Lie. 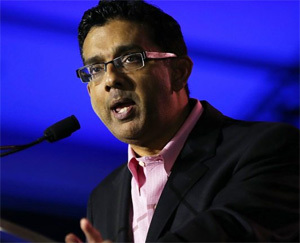 This lie Leftists love to claim was recently destroyed in debate between academics – a college professor and the nationally acclaimed author and filmmaker Dinesh D’Souza. You can view the exchange from September 26, 2017 below. This entry was posted in Local on October 3, 2017 by admin.